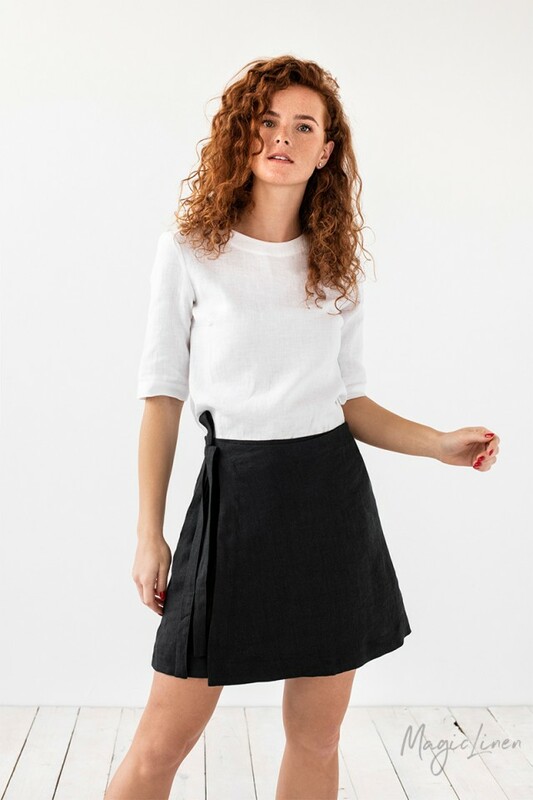 Mini linen wrap skirt available in all MagicLinen clothing colors. 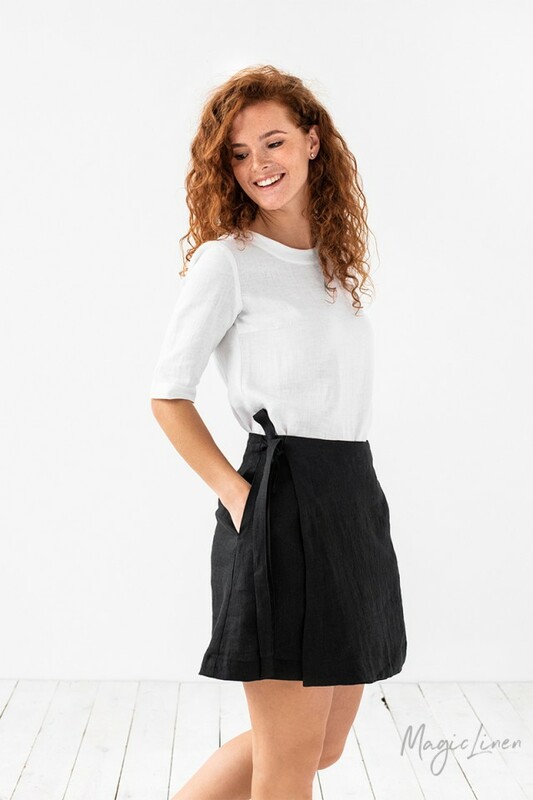 This mini linen skirt features two side pockets and a crossover front with concealed button fastening. The lightweight linen fabric elegantly swirls as you turn. Wear it as a low-, mid- or high-rise depending on your preferenc.